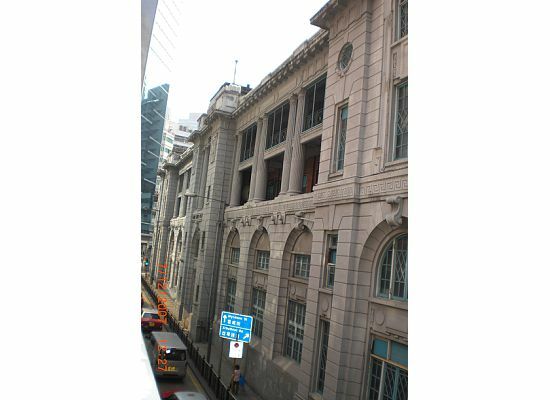 The Hong Kong Police Force was founded in 1844. It used to be dominated by Indian and British. Any executive positions were limited to British only. However, you see most of them are Hong Kong people nowadays. There was a dark period in its history until the ICAC (Independent Commission Against Corruption) was formed in 1974. The HK Police force before that period of time was very corrupt. I still remember the saying in my early teens, "A Good man would never be a cop." You could see how bad it was. But not anymore. And being a Hong Kongnese, I am so proud to say that the HK Police Force is one of the best law enforcement organizations in the world. Unlike some other countries' police force, that can get away with any criminal charges. If it happens in the HK Police Force, it gets a double penalty. To be on the HK Police Force is not easy. One of my students, (I used to do private tutoring), his father has been on the police force for many years. So, his two sons would like to do the same thing. Not only do they need to pass a physical test, but also a written test in both Chinese and English. What I gather from my student's mother, on just the Chinese written test you are expected to have an above average vocabulary. You can also be a member of the HK Police as a part-time employee, called the Auxiliary Police. In other words, you can be a cop for a few hours to a few days a week. You have the same duty and responsibility as the regular force. One of my father's employees would love to be a cop. So, he chose to be on the Hong Kong Auxiliary Police. In the past, (I would say up till 1990s) if you needed to put on glasses, you could never be in the HK police force. Nowadays, you may see some of the cops on bit having glasses on. You will see a lot of Hong Kong police on the motorcycles. Part of it, it is because of the roads in Hong Kong. They are too narrow. In order to get to the destination or crime scene as soon as possible, motorcycles are more efficient. Hong Kong people call these cops as "Iron Horse". Behind the same building, it was the prison. 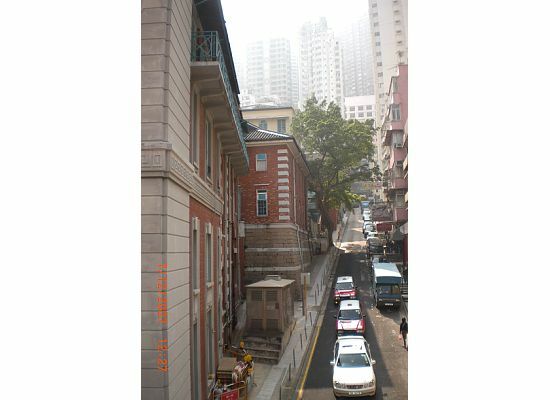 The buildings are built on a very steep slope. I had been walking on this road for many, many times after coming out of my piano lessons. The building at the back was the prison. 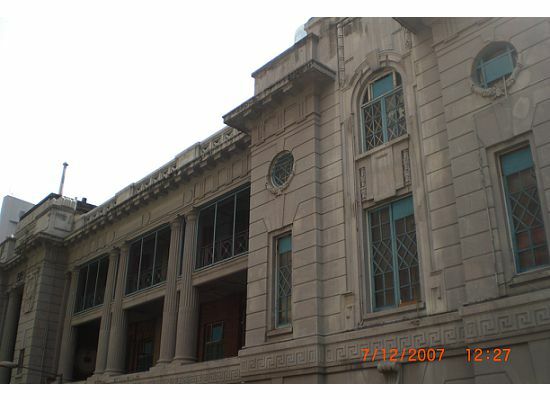 Right across the street of the prison was the Hong Kong Police residential area. There was a time that the Hong Kong Government sponsored the apartment for the police force. One of my students lived there. From my past experience, HK police are always very courteous. How many times I stopped by a policeman and asked for the directions when I got lost. Without facing any criminal or suspect, they are always nice, courteous and professional.